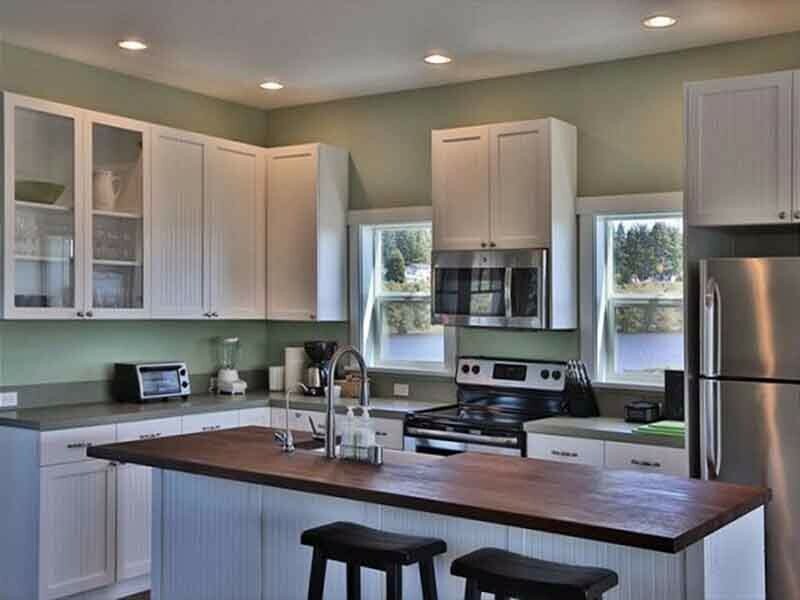 Be one of the first to rent a brand new beautifully constructed 3 bedroom, 2.5 bath home. 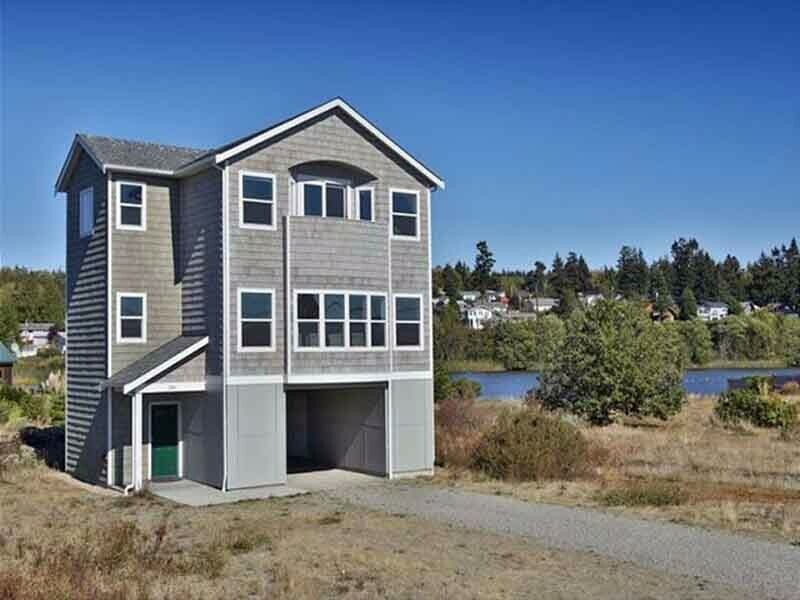 This home is located across the street from the beach, with easy access to the beach a short walk down the road, and 360 degree views of Puget Sound, lake, and wetlands. 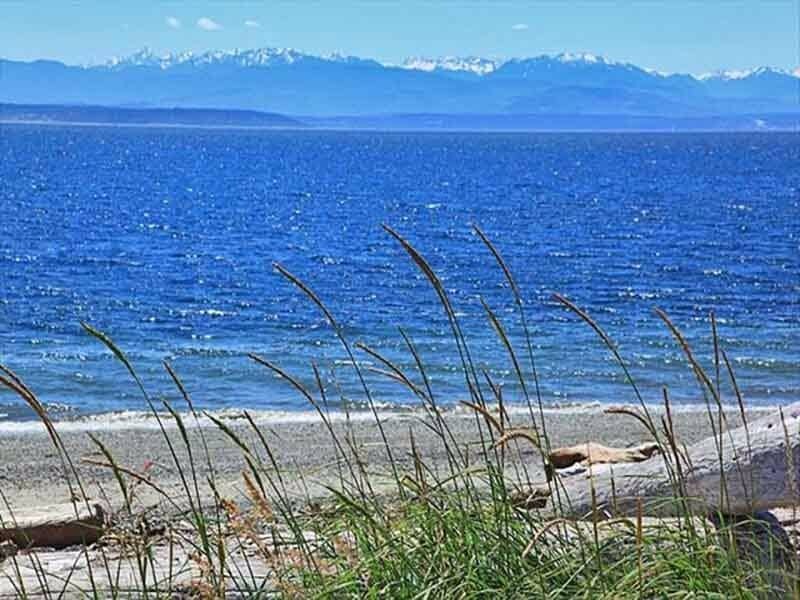 This home is perfectly situated within a few miles of the Port Townsend ferry, Fort Casey, Admiralty Head Lighthouse, Ebey’s Landing nature reserve, and the historic town of Coupeville (with Wharf, shopping, and restaurants). 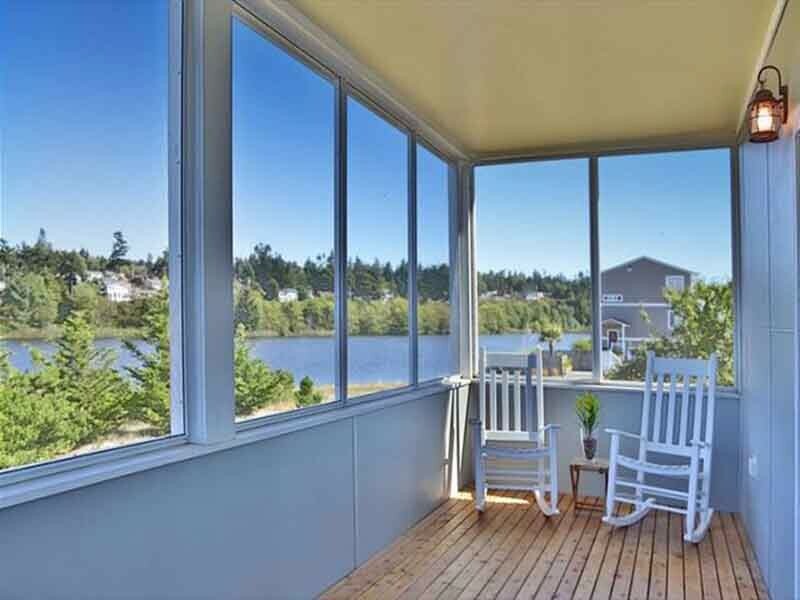 Enjoy your morning coffee sitting on the Master Bedroom balcony overlooking the Sound and Olympic Mountains or sitting in a rocking chair on the large screened porch off the kitchen overlooking the lake and wetlands. 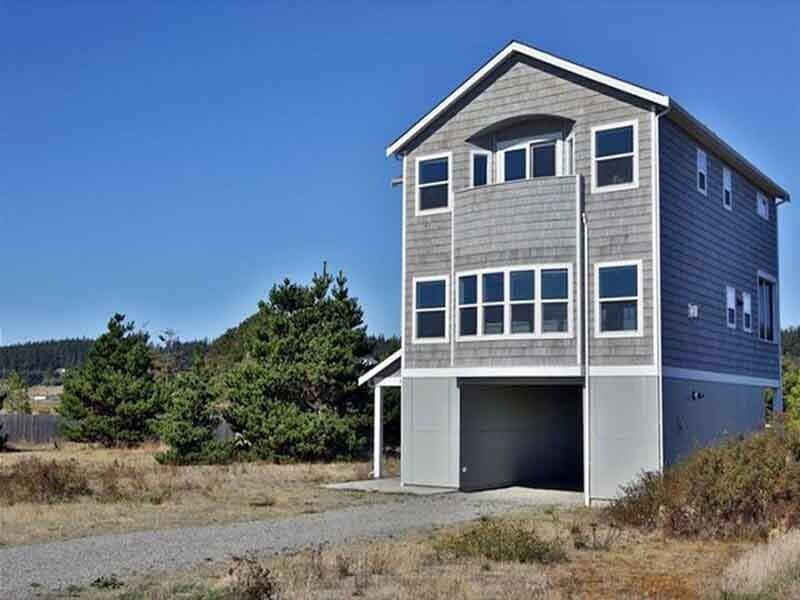 This three-story cape cod nautical style home with over 2,100 square feet sleeps 6 comfortably in a king, queen and 2 twin beds, plus sleeps an additional 2 on large sofas. 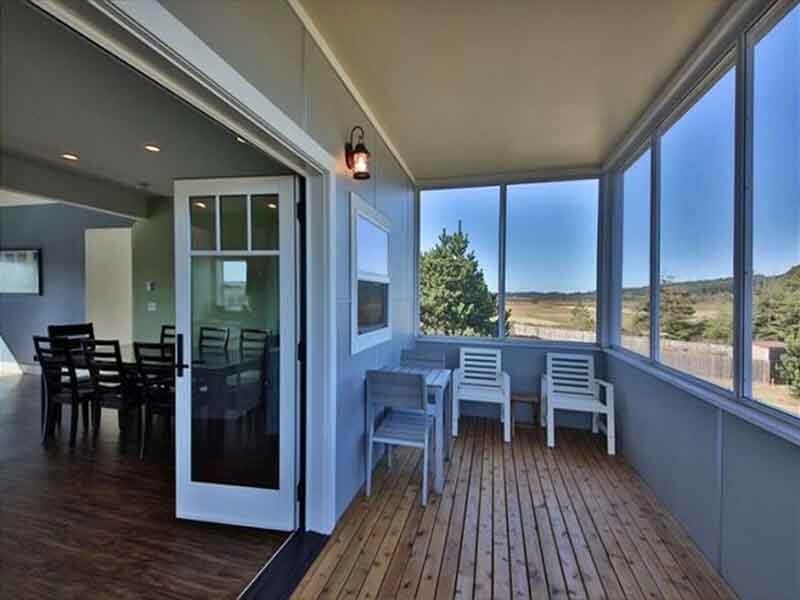 Bathrooms include large walk-in showers and a beautiful claw foot tub overlooking the Sound. Bathrooms are located on the upper level next to the bedrooms with a half bath in the lower entry level. Home also includes a large kitchen island, stainless steel appliances, filtered water tap, ice maker, dishwasher, washer and dryer, microwave, toaster oven, coffee maker (coffee, creamer, sugar provided), bread maker, iron, blow dryers, gas BBQ grill, cable TV, DVD player (various movies provided), WiFi (streaming capability is limited), gas fireplace, smartphone/Ipod docking station music player. Playground, basketball court, picnic table area, and bonfire area on the beach are also available at the end of the street. OCCASIONALLY, PER THE NAVY’S SCHEDULING, THERE CAN BE FLYOVERS AROUND THIS HOME. 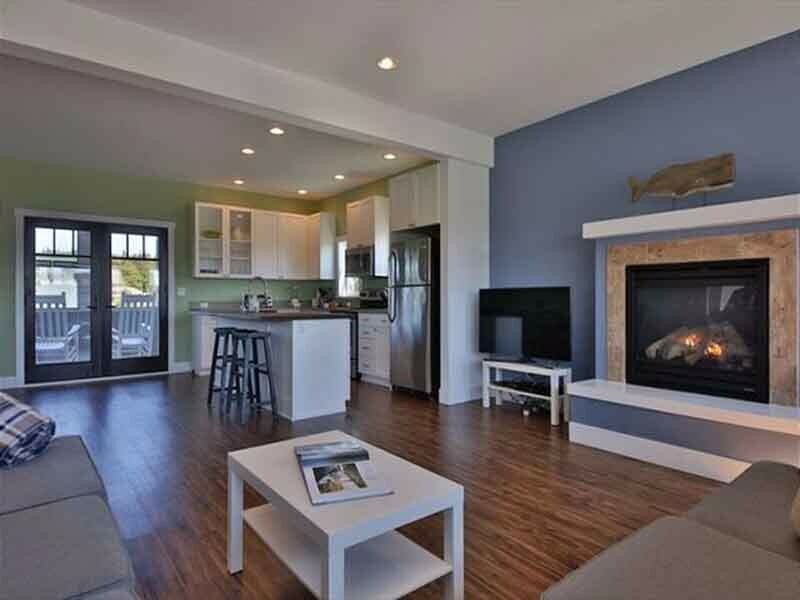 THIS HOME HAS A 4 NIGHT MINIMUM IN JULY AND AUGUST.